Hello, my name is Julien Petitjean. 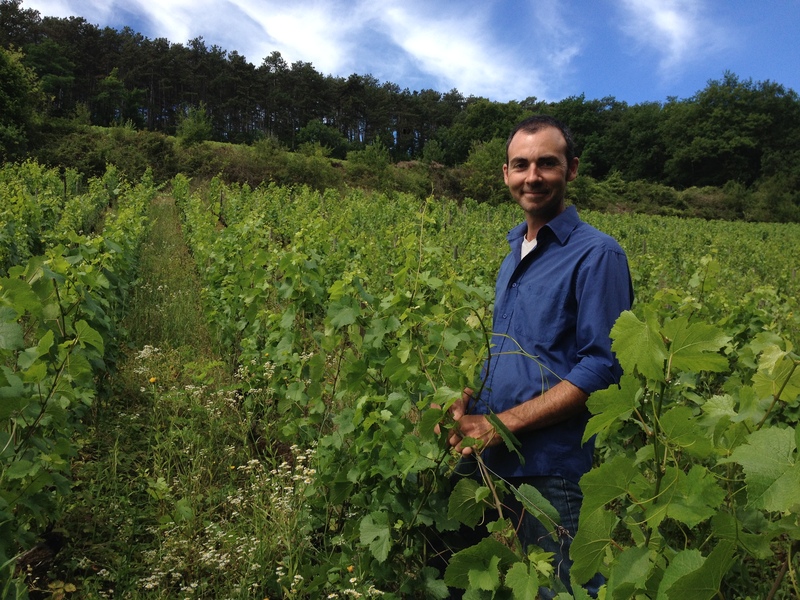 A historian by education and a Burgundian for life , I first got involved with viticulture in 2001 during university research that led me to meet engaged and engaging wine-growers in the Côte de Nuits. I immediately dropped everything and completely changed my life so that I could focus all of my time on this exciting adventure. My instincts as a historian led me to initially take an interest in traditional techniques and so I learnt the trade by working along side old wine-growers that were passionate about their land and confident in their practices. Their way of thinking about the soil, the vines, the seasons, vinification and tasting, their deep connection with the land, profoundly marked my understanding of viticulture and life in general. I found a large number of these elements were also present in the philosophy of biodynamics. Biodynamic farming is an agricultural method invented in the 1920s which treats the farm like an autonomous, balanced entity. The farmer organizes arboricultural (vines, orchards, woods, etc. ), pastoral (sheep, chicken farming, etc.) and agricultural (grains, vegetables) activities so that they complement each other, without impacting the environment and with less threat of illness and disease. It is a way of using the farm's autonomy to strengthen it and creating a symbiosis between these different activities. Pesticides (chemical fertilizers, weedkiller, phytosanitary products) are forbidden. All that is authorized is the use of sulphur and Bordeaux mixture, which are often complemented or replaced by plant-based 'teas' and essential oils. To nourish the soil, and therefore the plants, only plant composts or animal manure from the farm are added. In 2012, after 10 years of working in viticulture, I was given the opportunity to buy a 1.2 ha plot of grapevines in the Beaune Village appellation. 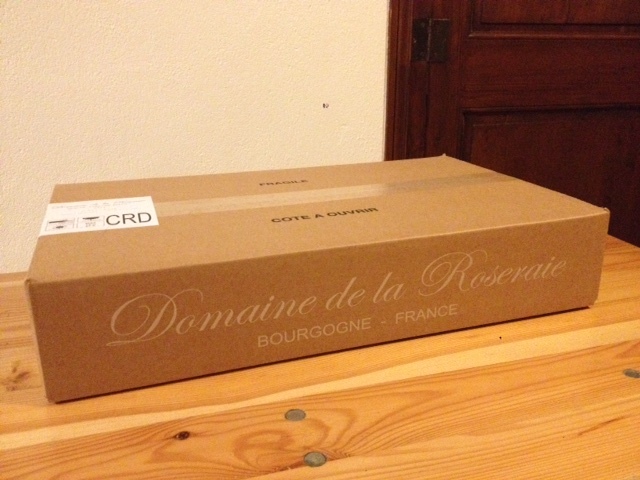 This was the birth of Domaine de la Roseraie, a vineyard managed using biodynamic principles and a hands-off approach. The rose, which has long been a symbol of the natural purity, elegance and balance of plant life, was a natural choice for the name of the estate. Soon complemented with a small number of rented parcels, Domaine de la Roseraie today stretches between Puligny-Montrachet and Beaune across 3 hectares of vines in the appellations "Bourgogne", "Hautes-Côtes de Beaune" and "Beaune Village", where Pinot Noir and Chardonnay are grown. Each of the parcels is cultivated with respect for the balance of its direct environment using biodynamic specifications, despite the wine not being labelled as such. For the approach to be consistent, producing grapes with these environmental requirements only makes sense if the same demands are made in the cellar, which is I why every year I strive to vinify and age minimalist wines, without oenological input (native yeasts, minimal use of sulphites, no chaptalization, ageing in Burgundy oak barrels, etc. ), a clear expression of each terroir. The vineyard produces around 10,000 bottles annually, which are distributed in France and abroad (mainly England, Germany, Italy and the United States) to specialist wine merchants and gourmet restaurants. 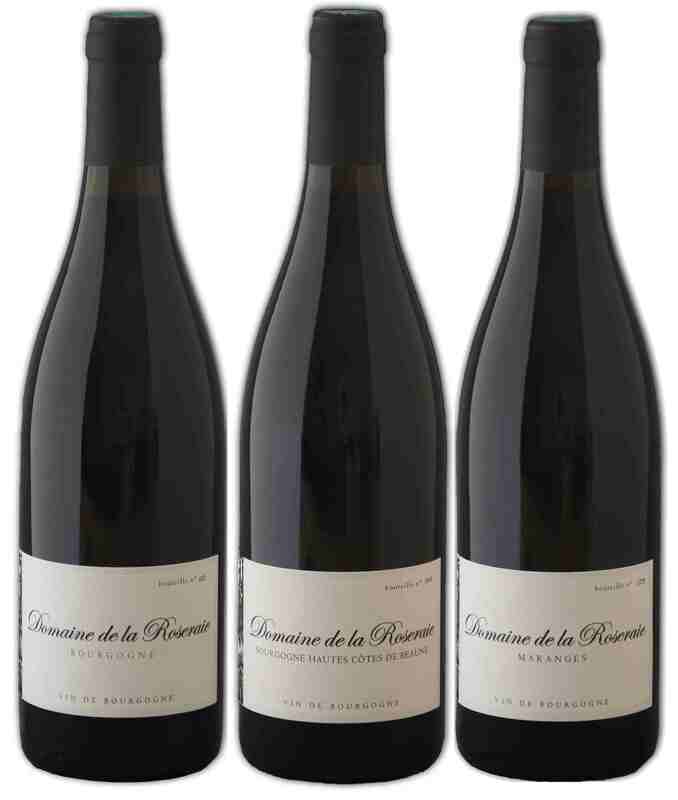 I am unable to live solely from Domaine de la Roseraie's activities, which is why I also work as a production manager at a renowned vineyard in the Côte Chalonnaise. 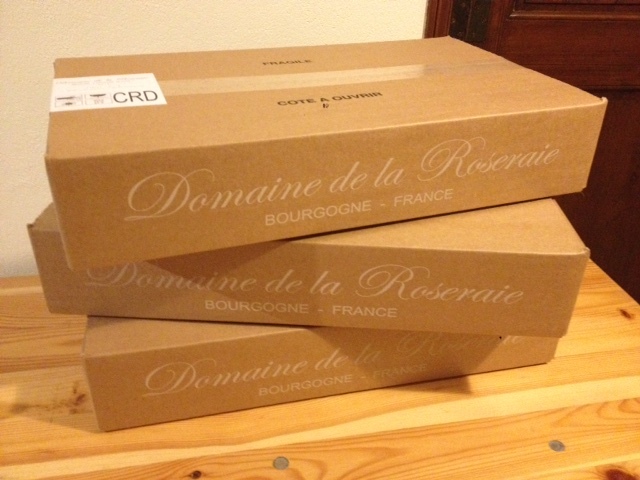 To be able to make a living entirely from Domaine de la Roseraie, working full time on the business and dedicating more time to my experiments, I now need to expand the vineyard. 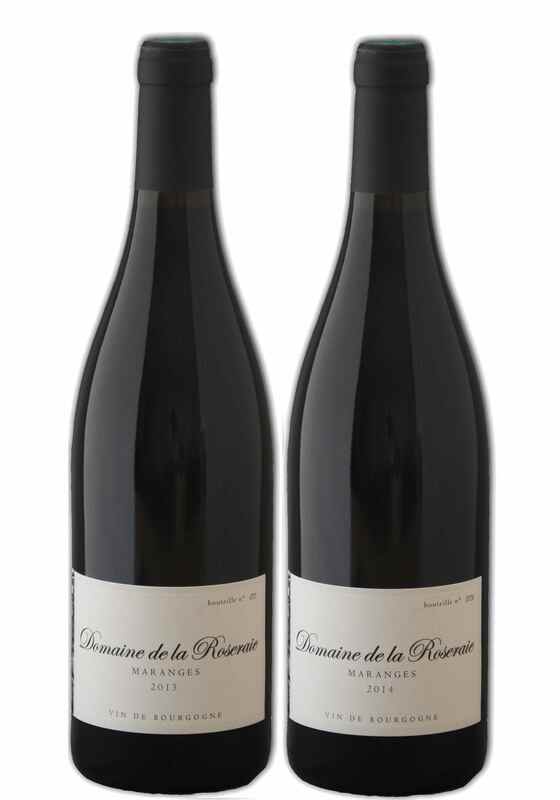 After studying our application, the SAFER (the Land Use and Rural Settlement Corporation) ceded Domaine de la Roseraie a 1.5 ha parcel in the Hautes Côtes de Beaune appellation in the Echevronne commune near Pernand-Vergelesses in the north of Beaune. This parcel is "bare" and it is now up to me to plant it. The area where this parcel is located is known as "en Chaumont". It an ideal location for growing grapevines, situated at the top of a hill with light winds and exposure to the sun throughout the day, with a well-drained, sparse clay-limestone soil. The wines produced here are known as the best in the sector. Because planting requires round-the-clock presence and represents a significant amount of additional work, I will be unable to plant everything in one go. I will therefore plant the Chardonnay (1 ha) and Pinot Noir (0.5 ha) in waves of 0.5 ha per year over a period of 3 years. Once set up and productive (4-5 years after planting), this new parcel will enable me to produce around 6,000 additional bottles of white and red Bourgogne Hautes Côtes de Beaune that I am certain will be extremely flavoursome. A first wave of planting is scheduled for the spring of 2018, testing cuttings that will be grafted using traditional techniques that are in keeping with the objectives of natural production. The help that I am asking for today is related to the second wave of planting, which is scheduled for spring 2019 but needs to be prepared now. 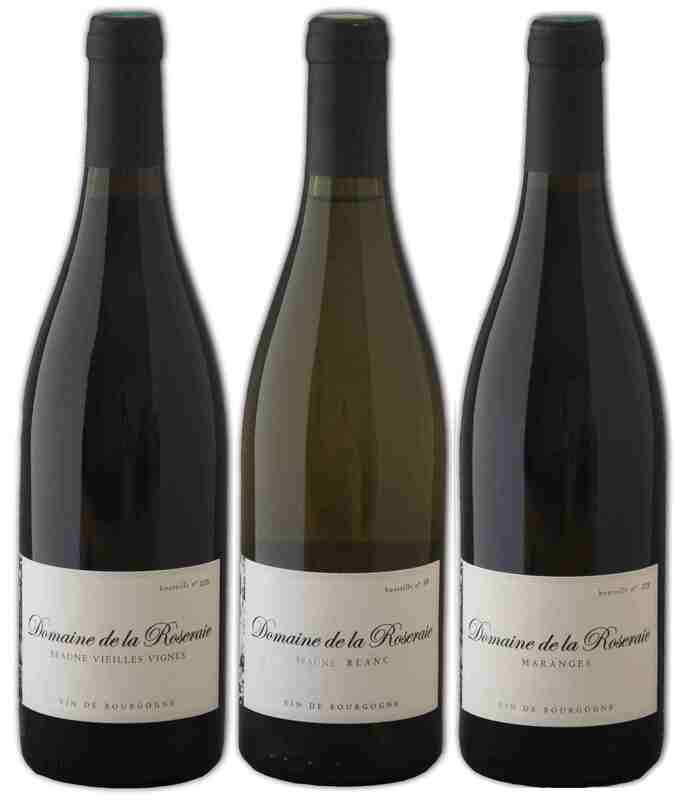 Lilian Bérillon, one the the top nurserymen in the world, has agreed to produce 4,500 whip-grafted plants for Domaine de la Roseraie from a very old and high-quality selection of Chardonnay. - Why graft the vines and why are we preparing the 2019 plants now? A grapevine plant is composed of an aerial part which produces grapes (known as the varietal) and a root section normally produced from American vines. This is because vineyards throughout the world are colonized by an insect called phylloxera, whose bite kills the roots of most grapevines but causes no damage to American vines. Before being planted in the vineyard, the vine is therefore assembled from a branch of American vine from the year onto which the nurseryman grafts a branch of grape-producing vine. This assembly is set with paraffin wax and planted for one year to enable it to properly knit together and produce roots. The next winter, the plants will be uprooted by the nurseryman, packaged and sent to the wine-grower for planting on-site in the spring. These plants therefore need to be prepared 18 months in advance. To make their work easier, wine-growers often plant their parcels with a single clone. This means that each vinestock behaves like its neighbour and production is extremely uniform. All of the harvest reaches maturity at the same time. This technical choice, however, very much limits the diversity which is required for natural balance. In wetter or drier years, for example, the harvest is severely impacted by the selected clone's individual reaction to the pressures of the vintage. In contrast to these modern practices, a more traditional technique consists of choosing from these old vines (planted before the development of clonal selections) a varying number of healthy and robust vinestocks with complementary criteria: some stocks with good grape yield, others with lower yield, some that mature early than others, some later, etc. This enables us to create more, durable old vines with strong resistance to illness, and to plant a large number of different individuals (often dozens) in a single parcel, encouraging biodiversity in spite of the monoculture and thus limit the occurrence of decline (a sort of plant cancer). Lastly, we grow grapes with complementary qualities that help add to the complexity and balance of future wines. What role does biodynamics play in all of this? One of the key elements of biodynamics is the revitalization of the root and aerial parts of the plant using dynamic (energized) preparations called 500 and 501. Our nurseryman applies these preparations during rooting of the cuttings and growth of the young plants. 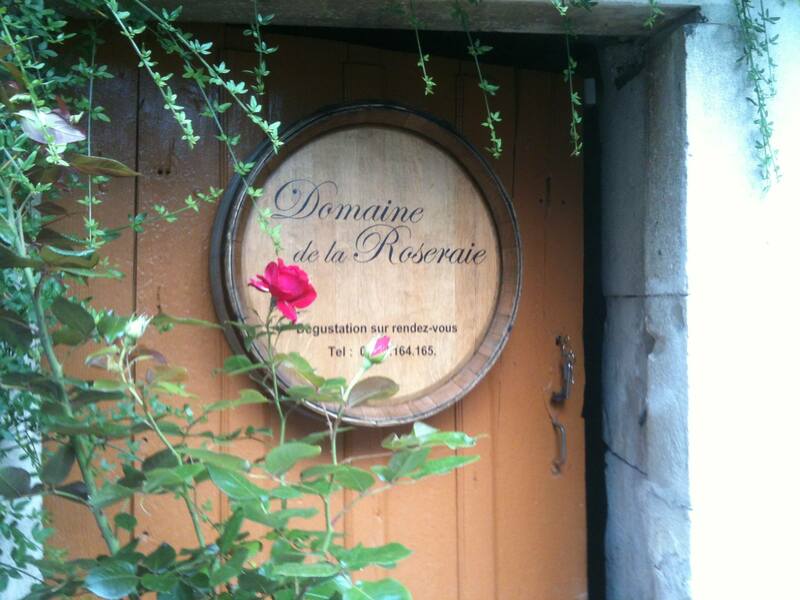 These practices are in keeping with those used at Domaine de la Roseraie. Their effects are therefore all the more favourable. As you can see, lots of different factors have been taken into account for establishing these vines, with maximum respect for the laws of the living environment and with the sole aim of producing high-quality wines that reflect the terroir. This project is a turning point for us. 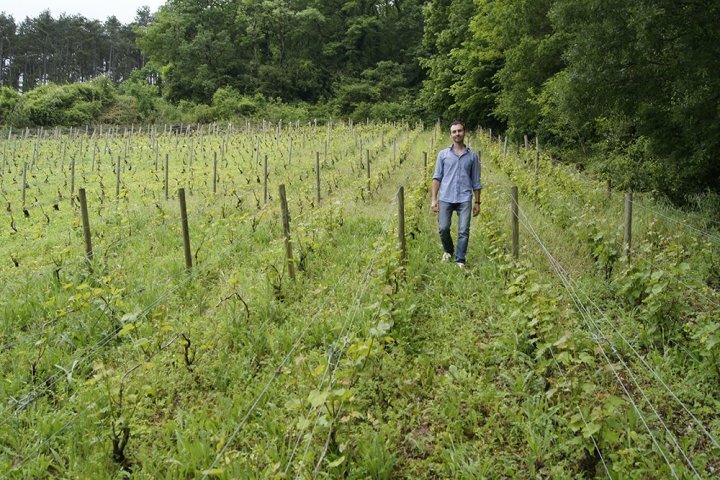 It will enable us to increase the size of the vineyard by 150%. It is in this project, to my knowledge the only of its kind in Burgundy, that I am inviting you to participate. A huge Thanks for your support + 2 bottles: Maranges Pinot Noir 2013 et 2014. Including P&P for France. A huge Thanks for your support + 3 bottles: Maranges Pinot Noir 2014 + Hautes Côtes de Beaune Pinot Noir 2014 + Bourgogne Pinot Noir 2015. Including P&P for France. A huge Thanks for your support + 3 bottles: Maranges Pinot Noir 2013 + Beaune Vieilles Vignes 2014 + Beaune Chardonnay 2015 (White). Including P&P for France. A huge Thanks for your support + 6 bottles: 3 Beaune Chardonnay 2015 (White) + 3 Beaune Vieilles Vignes 2014. Including P&P for France. 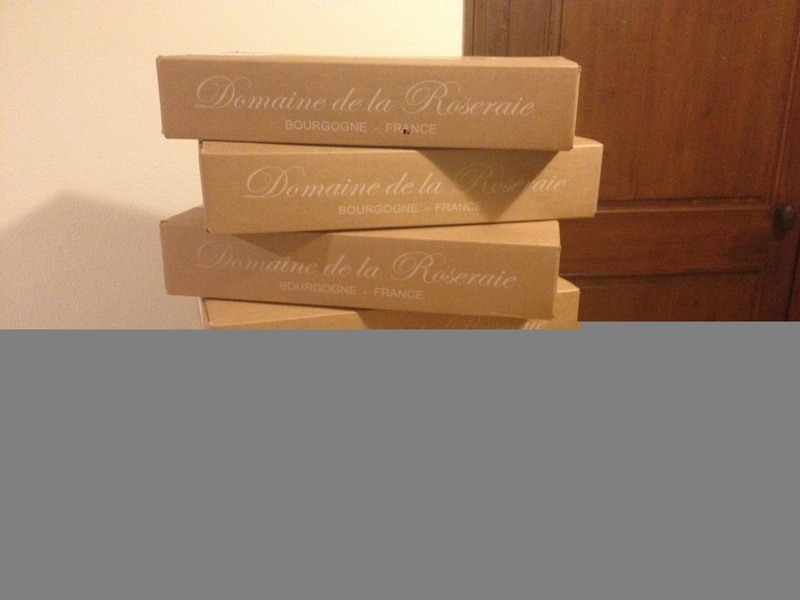 A huge Thanks for your support + 12 bottles: 3 Maranges Pinot Noir 2013 + 3 Maranges Pinot Noir 2014 + 3 Bourgogne Hautes Côtes de Beaune 2015 + 3 Bourgogne Pinot Noir 2015. Including P&P for France. 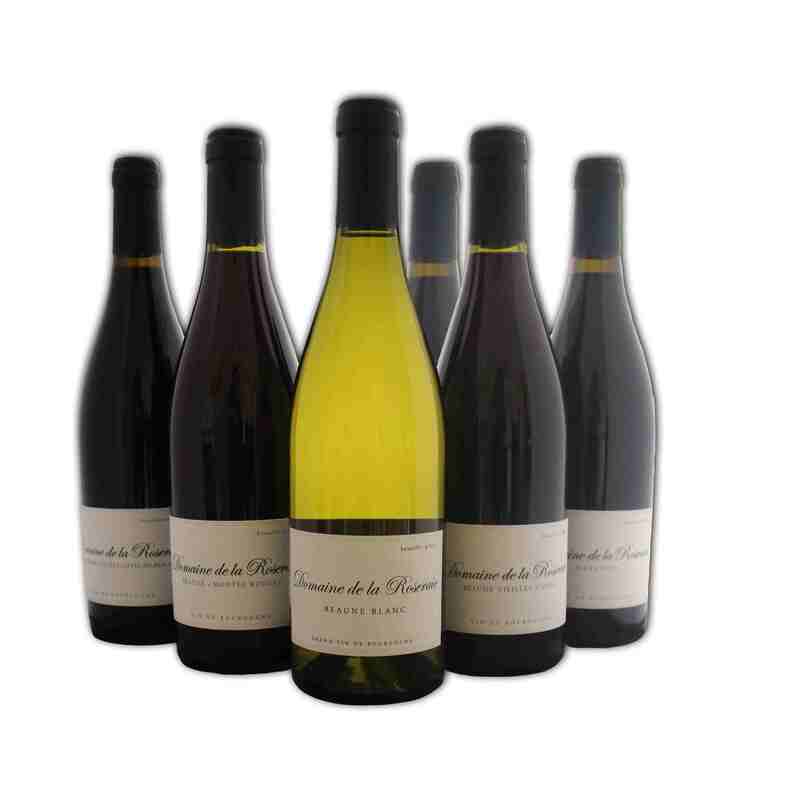 A huge Thanks for your support + 12 bottles: 3 Maranges Pinot Noir 2014 + 3 Bourgogne Hautes Côtes de Beaune 2014 + 3 Beaune Chardonnay 2015 (Blanc) + 3 Beaune Vieilles Vignes 2014. Including P&P for France. A Very Huge Thanks + 36 bottles: 6 Maranges Pinot Noir 2014 + 6 Bourgogne Hautes Côtes de Beaune 2014 + 6 Bourgogne Pinot Noir 2015 + 6 Maranges Pinot Noir 2013 + 6 Beaune Chardonnay 2015 (Blanc) + 6 Beaune Vieilles Vignes 2014. Including P&P for France. A Very Huge Thanks + 72 bottles: 12 Maranges Pinot Noir 2014 + 12 Bourgogne Hautes Côtes de Beaune 2014+ 12 Bourgogne Pinot Noir 2015 + 12 Maranges Pinot Noir 2013 + 12 Beaune Chardonnay 2015 (Blanc) + 12 Beaune Vieilles Vignes 2014 + a lunch and a wine tasting at the vineyard with Julien Petitjean.